Overall Athletic Wall Pads are engineered to provide a durable resilient "people friendly" wall covering in situations where walls are located closer to the field of play than would normally be acceptable and where the potential for participants to make inadvertent incidental contact exists and, therefore, needs to be addressed. 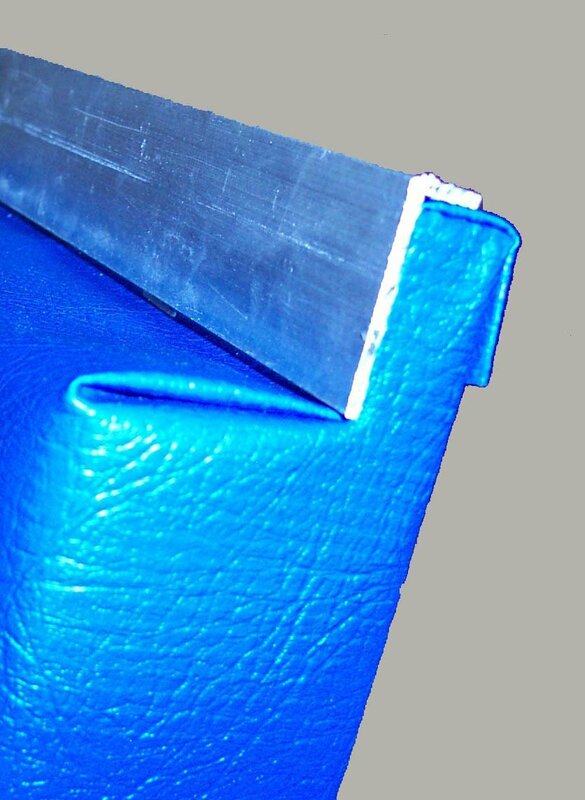 Overall Athletic Wall Pads are made with 1-1/2" thick foam filler cemented to a wood backer and covered with an 18 ounce per square yard vinyl fabric cover, which is mechanically secured to the wood base with heavy duty staples. The units can be mounted to the walls with either the standard nail lips, which are a 1" wide sections of the wood back allowed to hyperextend the foam at both the top and the bottom of the pads, or with an "easy-on-easy-off" aluminum mounting track on the top edge and the standard nailing lip at the bottom. This second option makes removal and replacement somewhat easier to accomplish should the need occur. Overall Athletic Wall Pads can be supplied in a wide range of standard colors and can have school or organizational emblems and special designs applied. The installation is fairly straight forward and can be accomplished by those familiar with standard woodworking and masonry nailing tools. Factory Quoting is based on gross measurements of the areas to be covered. Measured drawings indicating necessary cut outs or customizations are required for the mill to fabricate the pads to conform to the existing conditions. On site adjustments or changes if required can be can be effected with a minimum of effort by removing the securing staples from the vinyl cover and peeling back to preserve it, sawing the wood back and foam as needed to conform to the new requirement and then restapling the vinyl cover into place. Should replacement panels become necessary, they are redily available and can be shipped in small quantities by UPS. Custom Emblem and Logo Designs can be applied by the mill to any of the Overall Athletic Wall Pads. Please provide camera ready art and details of the application, and we will respond with an artist proof for your evaluation and approval. Click HERE to see a typical Art for Approval and finished set of personalized Overall Athletic Wall Pads. The completed Overall Athletic Wall Pads for this project can be reviewed by clicking HERE. Lettering Styles - A wide variety of lettering styles and fonts are available. Click the styles below to see charts with some of the more popular fonts and styles. Aluminum Mold Trim A Folding Mat, such as the 6'x12' with Fighting Trojans Emblem pictured above, can be used as wall padding in certain situations where removable wall pads are desired such as in residential use or in multi-purpose rooms. Folding mats used as wall pads are held in place on the wall using Velcro. How to Order - Click HERE for handy diagram and measuring guidelines related to ordering Overall Athletic Wall Pads. Please provide contact name, organizational name, phone and fax numbers, e-mail address, destination city, state and Zip Code for the freight part of the quotation. Thank you. .